I have always had an issue with motion sickness. the wind was around 20-25 mph. see the gentle rolling waves? now, turn your head back and forth, up and down. Not a great malady for someone who would love to spend an extended amount of time living on a sailboat. Brought to you by my mortal enemy motion sickness, with no assistance from alcohol. Amazingly, I did not complete the Bermuda Triangle of Vomit on our first trip to the Keys. Which brings me to today's post: D is for Dramamine. Without this wonderful little drug, I would never have made it through family car vacations to South Dakota, Wisconsin, Kentucky, Oklahoma, Florida. Thanks to Dramamine, I am so conditioned to fall asleep in a car that there have been times when we aren't even to the highway that I haven't fallen into a deep, drool dripping from the side of my mouth sleep. Until the invention of non-drowsy Dramamine. I carry it with me everywhere. I am a pro at pre-medicating. In the BVI, I drugged up before my fateful class. In Jamaica, I had a dramamine shooter with my ill-chosen breakfast before the scuba lesson of doom. Non-drowsy Dramamine is also sold as Antivert and Bonine and Meclizine, which is the generic mother of all the previous names. Just as in sailing, there are way too many names for the very same thing. And I have taken them all. 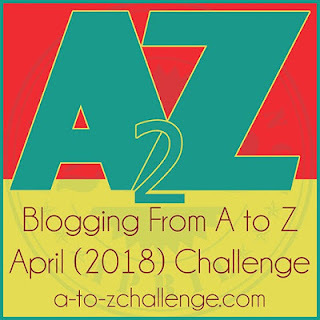 And click on the link: a-to-zchallenge.com for more posts. I know, right?! Actually, as long as I am working the boat I am good. It’s the bobbing that gets me now! Better living through chemistry, as they say! As long as I am busy on the boat I seem to be okay now. It’s the bobbing!! Just as Dramamine is the antidote to your motion sickness, that video clip is the antidote to the distress I'm feeling over the snow in our forecast for tonight. Warmer days are just over the horizon! They keep promising Spring and then say snow!! We need to all sail away!